Lodging at Bayside Golf is located on the front or back nine of the golf course. Some of our lodging is within walking distance to the Clubhouse and Bayside Beach. 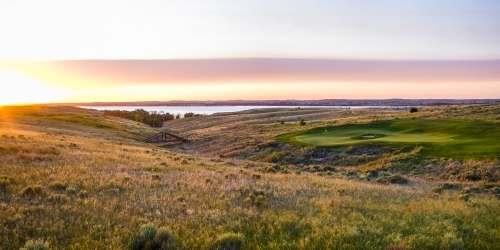 All of our lodging has beautiful views of the golf course and Lake McConaughy. Lodging at Bayside Golf ranges from newly remodeled cabins with walking distance to the beach. Four bedroom suites which will host up to 4 couples with mini kitchens; to full homes that offer granite counter tops with full kitchens, full baths, patios/decks and laundry facilities. All units have WiFi and satellite TV. Bayside Golf Club reserves the right to change price and offer at anytime. Prices and offer are subject to change without notice. GolfNebraska.com is not responsible for errors posted in this golf package.